The kitchen is one of the busiest places in your home. Rightly so as this is the place where not just meals are cooked but also a meeting point for all family members. 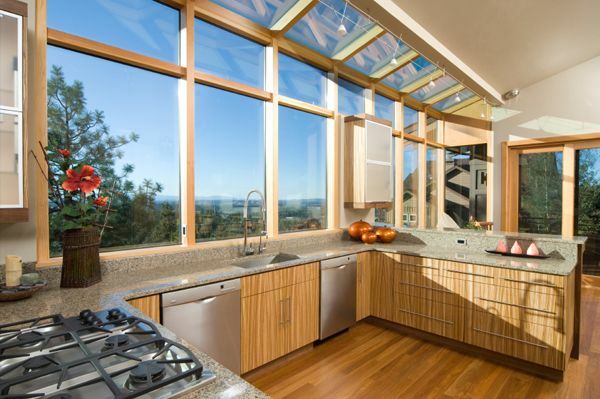 In the modern age, it is important that your kitchens are sustainable kitchens. Let us check out this new concept. What is the sustainable kitchen? To put in simple words sustainable kitchens are green kitchens or eco-friendly kitchens. 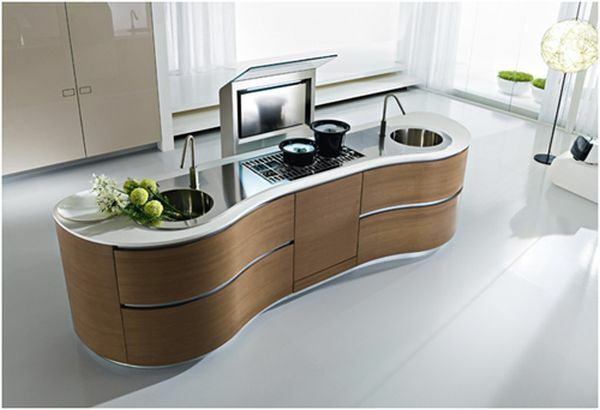 Sustainable kitchens are the need of the hour as they help in saving energy and resources. 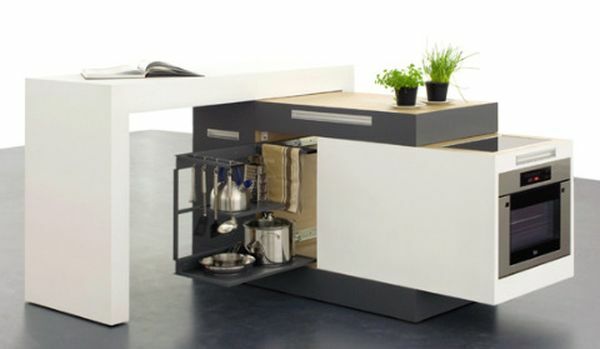 Small spaces are ideal for sustainable kitchens. One only needs to make smart use of available space. You need to be innovative in your thought process. Make use of recycled materials One of the best ways to make a sustainable kitchen is by using recycled materials. One can make use of materials like bamboo, cork etc. The flooring can be made out of cork. The furniture and tables can be made out of cane material. Sensible use of appliancesMake use of appliances which will help in saving natural resources. For example, a dishwasher is a good way of saving water. Most dishwashers are good enough to clean the dishes well and the dishes do not need pre-rinsing. In the case, of your refrigerator, do not set the temperature too low and clean the coils on a regular basis. Make use of utensils made from glass to store your food in the refrigerator. Converting edible waste into compost Large amount of food is wasted on a regular basis. This edible waste can be conveniently converted into compost. If you have a garden, you can dig a pit and convert the waste into compost. Make use of eco-friendly cookwareIf you want to make your kitchen sustainable then bid goodbye to Teflon. The best thing that one can use is cast iron cookware which is safe. This also gives a good taste to your food and makes food healthier. Make use of energy efficient cooking Make use of gadgets where no pre-heating is required. Most microwaves these days do not need pre-heating. Also make use of pressure cookers for cooking food as it helps in saving fuel. Also, while using pots for cooking remember to use ones which are of proper size. Install sensors faucets Yes these days one can install sensor faucets which help one control the flow of water easily. This is surely an easy and efficient way of saving water. Getting local foodIf you have wanted to make your kitchen sustainable then it is not enough to just have eco-friendly appliances and ways and means to save energy. The food that you get into your kitchen is also important. Therefore, go in for local food grown by the local farmer. Better still if you can have your own kitchen garden in your backyard. You can grow organic vegetables which have been grown without using pesticides. Bulk and no waste One can save lots of energy by cooking in bulk. Avoid cooking in small portions. But when we say to cook in bulk does not mean that you waste food. Avoid wastage. 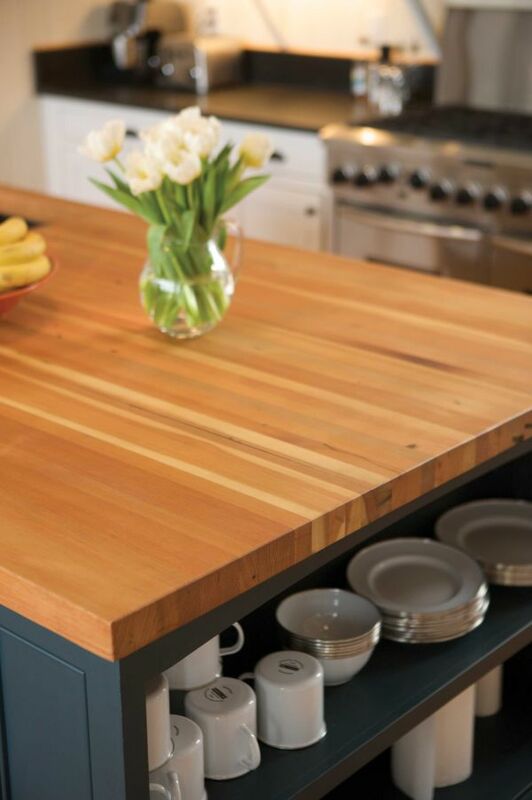 When you are planning to have a sustainable kitchen there are plenty of things that need to be considered. Use of proper appliances, cookware etc all help in making your kitchen eco-friendly.